How are Bulk Pricing rules assigned to products? 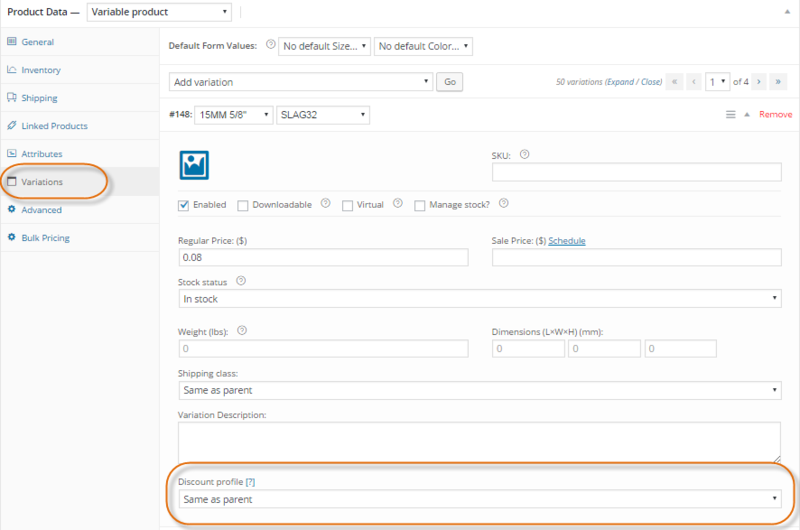 When using our Bulk Pricing plugin you can set up and assign bulk pricing rules for single products or whole categories. Visit this page: Defining custom product discounts – if you want to setup different discount rules for each product. Visit this page: Assigning discount profiles to categories -if you want to setup bulk discount rule to one or more categories. Can I display Bulk Pricing discount table on pages other than the single product page? Replace “1234” with the ID of your product. Does your Bulk Pricing plugin deals with minimum quantities? 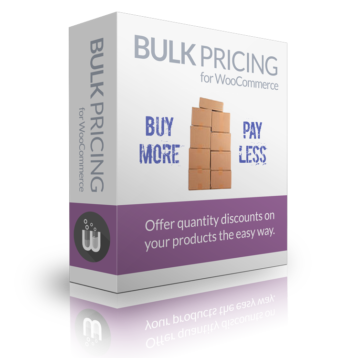 The Bulk Pricing plugin only deals with prices, not quantity limits. Can I use this plugin for incremental discounts? I’m sorry but our plugin is not designed for incremental discounts – it can only use one price for each item ordered in bulk. Does this plugin work with variable products? Yes, you can assign a different discount profile to each variation. You should see a drop down selector with your bulk pricing rules when you edit a single variation: “Products” > “Variations” > “Discount profile”.